my college life is going well with best friends and teachers and with lots of fests . Osmania medical college is very good in all aspects and if you are in a dilemma about which college to choose,go for osmania medical college undoubtedly. The college has an area of 20 acres and has modern infrastructure and facilities. It has an Electrophysiology Lab. This facility is unique and Osmania Medical College is the only medical college in the state of Telangana with such a facility. Dr. Chelikani Venkata Rama Rao, famous Communist leader and Parliamentarian. Dr. Mandadi Prabhakar Reddy, a versatile Telugu Character actor. Dr. K. Srinath Reddy MD, DM, the president of the Public Health Foundation of India. Sarojinidevi Eye Hospital (550)A.P. Chest Hospital (670)Quarantine Hospital (400) also known as the Institute of Tropical Medicine and popularly called Fever HospitalGovernment ENT Hospital (200)Hospital for Mental Diseases (600) also known as Institute of Mental HealthSultan Bazar Hospital for Women (160) formerly known as the British Residency Hospital. The college has 4 hostels .It has separate girls and boys hostels with accommodating capacity 468 and 441 respectively. The college has been ranked 17 amongst the India’s best colleges by India Today Survey 2014. I have scored 52 percentile in NEET 2018. Can I know what is the fee structure for mbbs in govt colleges based on my 604664 rank??? Can students , who have applied for neet , get this college? or they too have to give EAMCET exam??? Is there any entrance exam for getting admission in OMC? Or what is the procedure to get admission in OMC? I took EAMCET entrance exam for joining the course of MBBS in osmania medical college. I got 95?of marks in the exam. 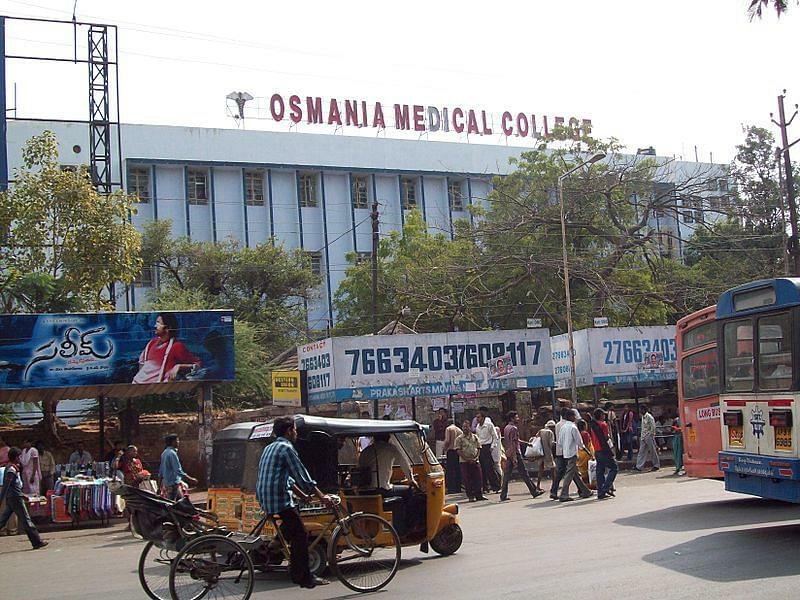 Osmania is in the top 15 medical colleges in India and has many hospitals. A lot of things can be learned being there.